In honor of Cinco de Mayo which is Sunday I made a yummy Tex Mex feast for Matt and I last night! I am sure you won’t be shocked when I tell you I got this from my favorite site SkinnyTaste! It was so good I had a hard time keeping with my smaller portion! Fiesta Lime Rice you can see the original recipe with nutritional facts HERE! I loved that this recipe called for a slow cooker those are the best kind! 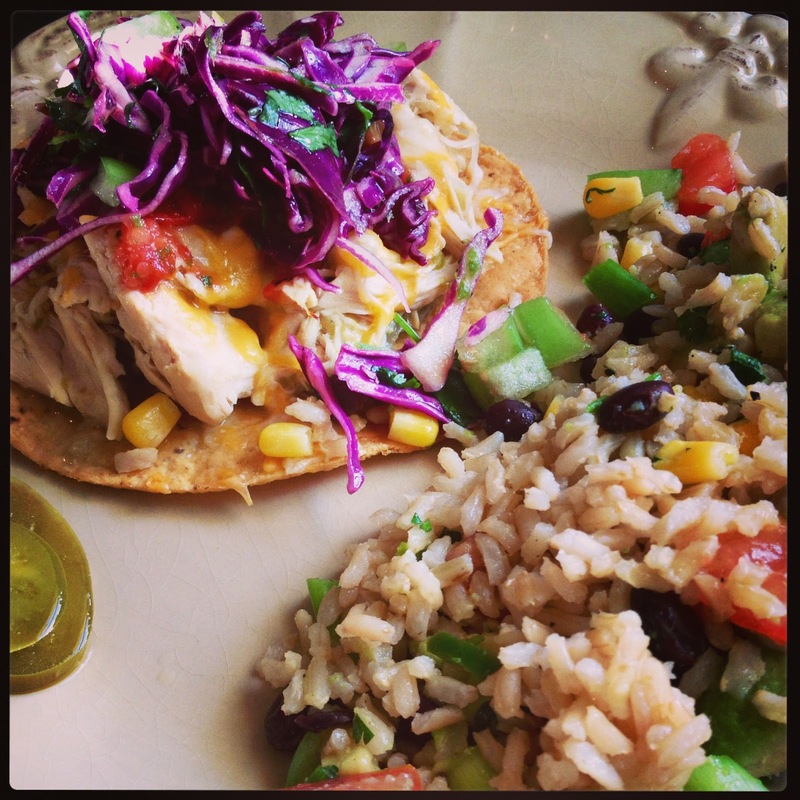 To see the recipe for the Salsa Verde chicken and the tostada recipe on SkinnyTaste click HERE! Last night I made Matt and I’s favorite dessert recipe….. WW cupcakes which are only 2points including icing!!!!! 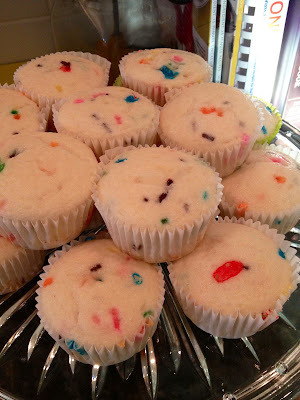 I added about 2 tablespoons of colored sprinkles before baking for a fiesta feel! Combine the two ingredients and then bake at 350′ for 18-20minutes! 1/2 package of Vanilla pudding mix! Literally all you do is mix the two and ice! I don’t ice them until we eat one! I keep the tub of icing in the fridge so they don’t get soggy! I hope you all try these recipes…..you won’t regret it!